Bahrain Defense Force (BDF) has announced the signing of a $3.8 billion deal with Lockheed Martin to buy 16 upgraded F-16 fighters. The deal was concluded on the second day of the Bahrain International Defense Exhibition and Conference (BIDEC 2017), which ran from October 16 to 18. “Lockheed Martin values our long-standing relationship with the Kingdom of Bahrain. We remain fully committed to supporting the US government and the Kingdom of Bahrain in ongoing government-to-government discussions around the proposed sale of the F-16 Block 70,” a company official said. The three-day international defense event was held for the first time in the Bahraini capital under the patronage of King Hamad Bin Eisa Al Khalifa, the Supreme Commander. The deal was announced by the Commander of the Royal Bahraini Air Force (RBAF), Air Vice-Marshal Sheikh Hamad Bin Abdullah Al Khalifa during a press conference attended by Rick Groesch, Regional Vice President, Middle East International Business Development. 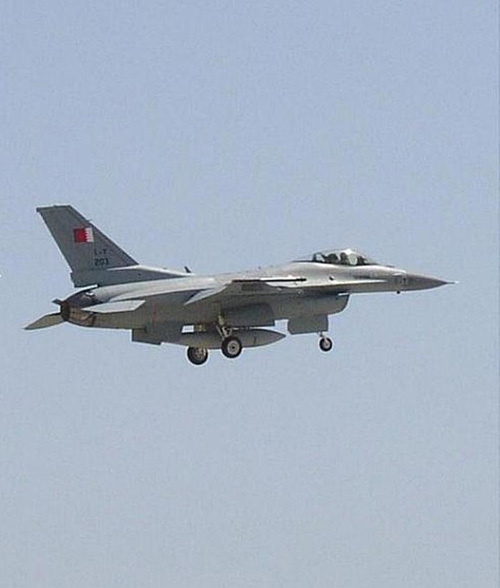 Sheikh Hamad said that the upgraded F-16 jets would contribute effectively to developing the Royal Bahraini Air Force which, he stressed, features numerous modern systems. Groesch said that Bahrain is the first country in the region to sign such a deal with the company, highlighting the development witnessed by RBAF, Bahrain News Agency (BNA) reported. Bahrain on Monday called for setting up a regional security network that protects countries, strengthens security and preserves interests. “It is time to formulate a new regional security network that presents realistic, effective and fair mechanisms capable of strengthening the security of our countries, that ensures peace and stability, protects national capabilities and the Gulf principles, creates genuine guarantees... and adopts a political dialogue and initiatives for crises in the region,” Royal Guard Commander Brigadier-General Sheikh Nasser Bin Hamad Al Khalifa said. “The network will be a substitute for interference in internal affairs, and attempts to impose hegemony and instability,” he said.